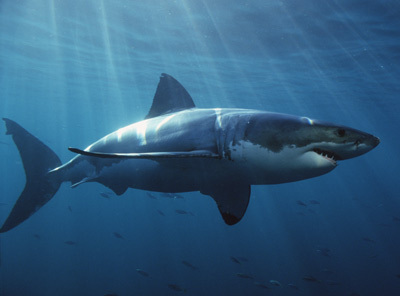 White Sharks Have To Keep Moving In Order To Stay Alive. Yes it sound Unbelievable but its true white sharks have to keep moving to keep themselves alive. While some sharks can pump water over their gills simply by opening and closing their mouths,but white sharks are among those that have to keep moving in order to avoid death by oxygen deprivation. Just as reducing the amount of oxygenated water flowing over the shark’s gills will weaken a shark by reducing the amount of oxygen its body is receiving.If a white shark stops swimming, its body will receive none of the oxygen it needs and it will therefore die. Previous article 10 Unbelievable Facts About Human Brain That Everyone Should Know. Next article Banana Can Cure Hangover. 10 Unbelievable Facts About Human Brain That Everyone Should Know.